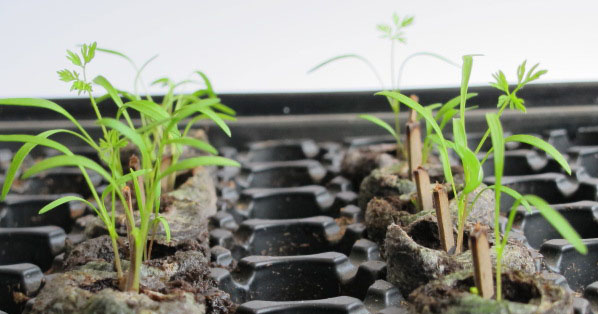 Seedsticks® products provide many innovative ways to plant and grow seeds. Our promotional products allow businesses to engage with their consumers in a unique and distinctive manner. All of our products are proudly Australian made and distributed globally, using biodegradable glues, soy and vegetable based inks and recycled boards. We are an award winning, eco-friendly company with many possible marketing solutions. "The response to our seedsticks has been incredible. As part of their welcome pack, every student who joins Toorak College receives a seedstick to remind them of the power of the daisy and encouraged to plant the seeds as a metaphor for the growth they will experience during their time at school. We are really happy with the seedsticks product and service and will continue to be a customer into the future." - Lauren – Toorak College. "Not only was the Seedsticks order received, it has been incredibly popular and widely admired by recipients, and other university schools and departments. Thank you for your cooperation and your tight turn around!" - Rosie Stevens – Fenner School, Australian National University. Enquire now to begin creating a business relationship that will grow. Step 3	- Plant, water & grow!